In September, Michael DeBock became president and CEO of the Economic Council of Palm Beach, the county’s largest and most influential business advocacy organization. He leads the political, lobbying, grassroots, policy and operations of the council, which seeks to create a business climate that generates prosperity and sustainability, strong communities and competitiveness for the county and its membership. He worked more than 13 years at NextEra Energy, including developing energy projects across the United States, Canada and Europe. He had responsibility for strategic development, stakeholder outreach, financial performance and partnership management for a diverse energy portfolio. DeBock is a graduate of the U.S. Military Academy at West Point. He became a captain and served eight years as an Apache helicopter pilot—a decorated veteran with flight time during peacetime and combat operations. He has a master’s degree in business administration from Florida Atlantic University. He lives in Jupiter, with his wife and two children. 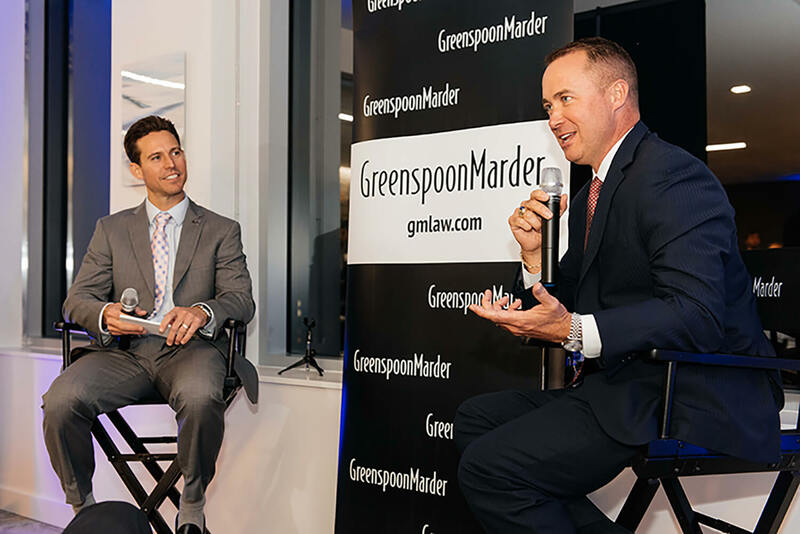 For this installment of “CEO Connect,” SFBW Associate Publisher Clayton Idle interviewed DeBock at Greenspoon Marder’s West Palm Beach office. The following transcript has been edited for clarity and brevity. It hasn’t been long since you were appointed CEO of the Economic Council of Palm Beach County? What attracted you to the position? The economic council is founded in leadership. It represents 100 CEOs or senior executives of the most pre-eminent companies in this area. When you have an opportunity to assume a role to lead the top senior executives of this region, you would be silly not to take it. And I was honored to be approached by several members and went through an elaborate interview process to assume the leadership role of this council. What have you been able to check off on your to-do list? Checklists are extraordinarily important. And I think regardless of the business that you run, whether you’re a CEO of a bank, whether you lead a focused foundation to improve the quality of life in this region, whether you present an insurance company or anything in between, at the end of the day, every single one of us wants to be extraordinary and deliberate and focused in delivering a value proposition that’s differentiated and unique above our competitors. That ultimately is what unites leaders. I have a leased car and limited miles, and I spent those miles driving to meet the members, to understand not their political needs but their businesses. Because at the end of the day, the relationship between a balance sheet and an income statement, whatever industry you are in, is an inseparable relationship. And if I could understand those businesses, and those inter-relationships between each of my members’ respective balance sheets and income statements, I can understand their needs, and I can serve them at their point of need. And that’s important for a business organization. Because you have to understand what the needs are in order to meet the customers’ demand. And so then we went into a strategy session, which allowed us to focus on the broad floor and zoom in on Palm Beach County, to understand the predictive and lead and lag indictors that establish where we were relative to our benchmark. 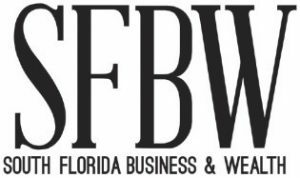 I consider our benchmark every other county in this state, because I wake up every morning and think about, “How do I make Palm Beach County businesses the No. 1 place for employees?” If we could collectively do that, we create a sustainable economy. And by creating a sustainable economy, you and I collectively live, work and play in a place that we can call home. So we’ve done the strategy. We’re focused on a few core issues, and we are aligning our members to those issues to ensure that they can deploy their heart and soul to things that important to their businesses and their lives. What are some of the biggest indicators of economic success in the county these days? Indicators are important to me. When the gauges in my helicopter went red, I was in trouble. If they were yellow, that was an indicator to me to do something different. When you think about the indicators, I always think about stuff that is red, yellow and green. I also believe in scoreboards. You can walk into a stadium to watch a game, and go get a hot dog, pretzel and beer and come back in, and within three to five seconds, you can look at the scoreboard and you can see exactly where your team is relative to where they were when you exited to get a hot dog. So, for the economic council and for any focused business, what we have to do is figure out how to “metric” ourselves. How do you recognize that today is better than yesterday? And how do you establish predictive indicators to say that my business is progressing in a way that is rooted in within the strategic plan? We are working on that. From a policy perspective, we’re focused on education, leadership and how to create a policy environment that allows each point of view as executives to establish and maintain your business here. What are some of the challenges and issues the county faces today? Mobility, affordability and develop–ment. When we think about mobility, how do we move? No one in this room hasn’t seen trend videos that show what it will look like in five, 10 or 15 years. The way we transport ourselves in 10 years will be different. Our mobility is changing. And the speed in which we operate in business is changing as well. Ten years ago, who would have counted on a company called Uber? Ten years ago, who would have invested or counted on a company called Airbnb? The game of disruption is real. Every day, I urge the economic council to think about the disruptors that are going to affect us in Palm Beach County that we today have not even imagined. Uber and Lyft have changed our world. They are commodity providers. They compete on price, and when that’s competitive, you can continue to draw on price at which point your margins collapse. Then, at one point. your investors say, “I’m out.” That problem is facing us, and it’s a tremendous problem. It’s causing Lyft to think differently. Mass transit is an issue: how we mobilize and move ourselves on transportation mechanisms other than on things we own privately. Lyft uniquely positioned itself on the market. Lyft took data and applied a mass transit solution. There are amazing companies that are solving mass transit in ways that you’ve never thought about before. And in Palm Beach County, our opportunity is to raise our hand and say, “Use us as a test market.” We are a massively urban-sprawl environment. Our population density and our urban sprawl are our competitive advantage and, at the same time, a competitive disadvantage. If we can’t figure out how to move our people differently tomorrow than we do today, we are going to be a locked commute. The second thing we are focused on is education. The No. 1 predictive indicator of a business environment is the health of our K-12 system, where our state college is and what our public and private universities look like. We know that when people get educated in a community and can expand their education here in Palm Beach County, the likelihood those human beings would reemploy their assets and reemploy their life purpose in this environment is extraordinary high. What does it mean that there’s a lot more land that can be developed in Palm Beach County? What does that mean for our region? It is our competitive advantage. Land has always been a competitive advantage for every market—go back to [the game] Oregon Trail. The challenge is how we responsibly and respectively develop it. Period. Intensity and density. Ultimately, how do you balance it? How do you balance the economy? When you think about agriculture or tourism, you think about business. And you think about all the economic mixes that we have, diversity defines us and that’s a wonderful thing. How do we develop vacant land, and how do we redevelop existing land?